So you want to learn how to become a solopreneur? Congrats! Its one of the most satisfying and freeing things you can do as a human. 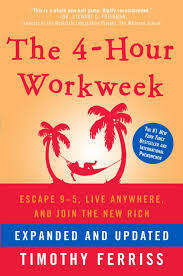 This self-help book by Timothy Ferriss was a worldwide bestseller that spent over 4 years on the NYT Bestseller List. The author developed his ideas through dealing with his own workaholic outlook. Ferris emphasizes de-cluttering and “lifestyle design,” and advises taking mini-retirements rather than deferring vacations and life goals until late in life. Ferris’s focus is on sales rather than production, and some of the online marketing advice is dated, but his “work smarter, not harder” message has inspired millions. 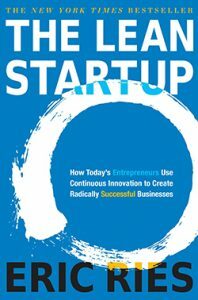 Author Eric Ries used his experience in failed software startups to develop the lean strategy described in this book. His message is to work backwards from business goals and be willing to kill projects before they become a drain on energy and motivation. The book is narrowly focused on software creation, and its verbosity somewhat belies the title, but the perspective on targeting core issues is invaluable. Ries helps entrepreneurs push beyond perfectionist impulses. In this followup to his breakout book, “Art of Non-Conformity,” Chris Guillebeau condenses a series of blog posts into a motivational work meant to kickstart entrepreneurs into action. The content uses success stories to show what is possible, although the message stays on the surface and doesn’t dive into detail. If you haven’t read many inspirational works about starting out on your own, this is a good example. 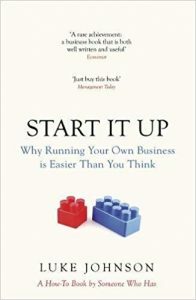 If you feel guilty about not having started a new business by the book’s end, the author has succeeded. Gary Vee, author of “One Entrepreneur’s Take on Leadership, Social Media, and Self-Awareness,” is a high-energy YouTube host and passionate source of motivation for many self-guided solopreneurs. The book has valuable insights on leadership, but its real worth is in how well the author’s enthusiasm supplies readers with confidence and motivation. 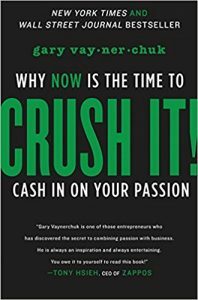 Mr. Vaynerchuck is a character onto his own and has developed an almost cultlike following among those who enjoy his brand of wisdom. 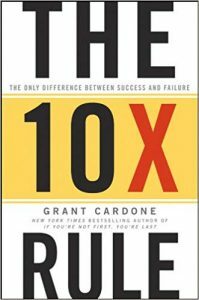 The author, Grant Cardone, takes the opposite ethos of many motivational solopreneur books. Time management is not for him. Cardone’s approach is to simply overpower problems by setting “massive goals” and taking “massive action.” The point of the book is not in the details either. In some aspects, the book seems to be targeting salesmen rather than up-and-coming entrepreneurs. The advice isn’t new, but the message and delivery can serve as a useful kick in the pants. 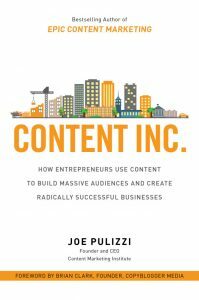 This well-regarded book is by former blog sensation, Joe Pulizzi. It covers creating a content strategy for entrepreneurs, a useful skill for online business. If you’ve read other work by Pulizzi, you’ll realize there is a good deal of recycling in his work, so familiar readers won’t find much new here. Even if the information can be found elsewhere—not least on the author’s blog—it’s an excellent summary resource for solopreneurs getting started. 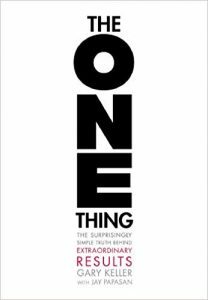 Gary Keller’s hit book on achieving goal-based success contains a simple concept: find one big thing that connects to your goals and makes everything better—and work on that to the point of madness. Though somewhat simplistic, the message is pop-psychology at its bestselling best: it has motivated many readers, and represents the inevitable backlash against seeking a work/life balance. The content and high-strung presentation can be useful as a motivation tool, and definitely offers another point of view on commitment and pacing yourself. Author Gary Vaynerchuk’s energetic style of presenting business-focused content is a favorite of many solo business owners. This 2009 book shows how to build a social media platform, and many of its techniques remain effective and universal a decade later. The content includes actionable tips to get started on immediately. Vaynerchuk’s robust approach isn’t for everyone, but it’s a view that has helped others reach online success. This 2004 book from the Harvard Business Essentials series provides an overview on building large businesses from an entrepreneurial perspective. The business principles espoused can be applied to smaller projects, though the book’s content isn’t innovative or new. 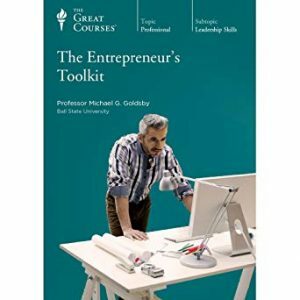 This book offers a general guide for individuals interested in gaining foundational knowledge about large-scale entrepreneurship, and contains universal information that can be applied to any business size. Author Larry Keltto has assembled interviews with 42 successful solo entrepreneurs to discuss their experiences. The information is given in a friendly, informative style that conveys both the challenges and rewards of entrepreneurship. It’s an easy, enjoyable read. 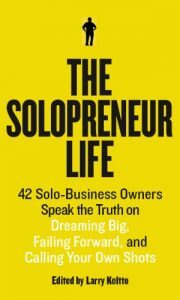 Though you won’t find much in the way of theory or actionable plans, the book does discuss real-life tactics and strategies and provides valuable insight into what the life of solo entrepreneurship is truly about. 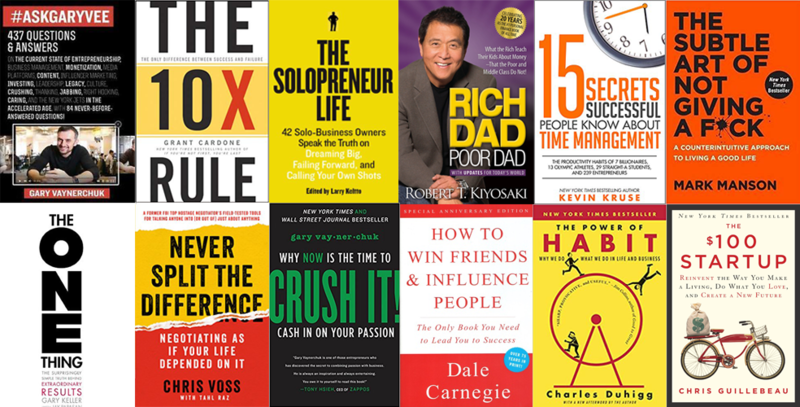 The bestselling, self-anointed “#1 Personal Finance book of all time” by Robert Kiyosaki teaches generalized motivational lessons from the supposed perspective of both a rich and a poor man. Directed at the topic of investing and building businesses, the book had a 20-year anniversary in 2017–but it is not without controversy. 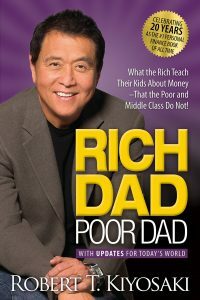 After the book’s initial success, he co-wrote “Midas Touch” with Donald Trump in 2011, and there’s no doubt Kiyosaki provides a popular perspective for many solopreneurs. Keep a grain of salt handy, though. Kiyosaki’s company declared bankruptcy in 2012. Thiel about business startups. It is highly motivational, offering a perspective that isn’t so much new as reanimated from the ashes of previous experience. The work promotes the creation of a monopoly and emphasizes looking at a situation from a highly self-interested perspective in order to effect extreme gains without distraction. Though quite successful for its time, the message has less resonance in the current world of consequences it helped create. This popular 2012 book by Luke Johnson is a cheerleader’s pep talk for solo business owners. 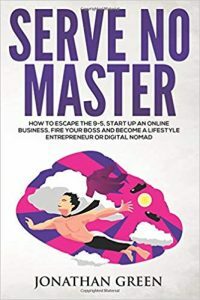 The book’s message is that running your own business is much easier than you think, and to get started now—why are you waiting? 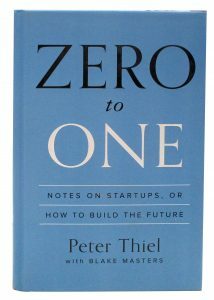 Though short on actionable items or theory, it’s a good read for a jolt of entrepreneurial enthusiasm. This book presents advice from the author, Kevin Kruse, along with a copious selection of quotes from successful business people. There is a good amount of actionable advice included, and the points Kruse stresses have been influential and are widely shared online. 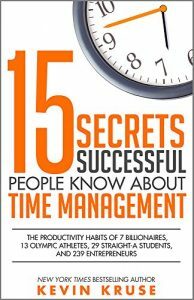 Time management is a critical topic for solo entrepreneurs, and though the methods aren’t groundbreaking, the book’s information has helped many readers gain control of their schedule. Mark Manson has written one of those solopreneur books that speaks loudly … to some. Its message is, basically, not to sweat the small stuff—which most of it is—refreshingly retold by a potty-mouthed blogger who isn’t so subtle. 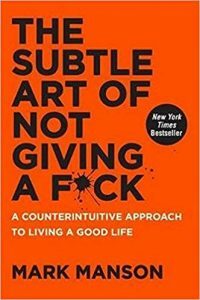 The book includes valuable wisdom about focusing and keeping perspective, but it isn’t a new message so much as an old one updated into smug-sounding slang. This approach can be useful if it communicates to its audience, but readers must be on that wavelength to avoid irritation. 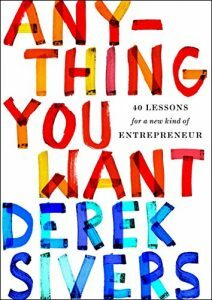 Derek Sivers wrote this book after selling his CDbaby business for $22 million. The Book contains solopreneurial advice, but overall it uses a positive style and upbeat presentation in place of definite recommendations. 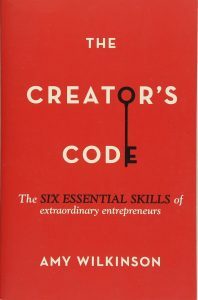 This is one of those books it is suggested for all entrepreneurs to read for inspiration. The content is light and motivating. This book was a 2001 crossover bestseller that grew beyond a purely business-oriented audience. 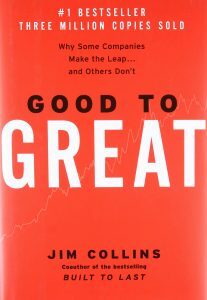 The author, Jim Collins, and a team of researchers looked for key factors that make a great company. The information is delivered with slogans to provide memorable concepts for all types of entrepreneurs. It’s a book that’s been on enough shelves to make it important, but be aware it hasn’t aged well. Several of the book’s “great” organizations have had dramatic declines in recent years. This book highlights an important area for maximizing a single-owner operation. 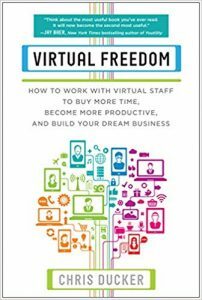 The author, Chris Ducker, provides valuable information about using freelancers to improve your business productivity … and why you’d want to. The content is easy to read and offers some practical guidance. Not much time is spent on taxes or problematic issues, but the positive information is current and useful for solo business owners. Author Amy Wilkinson presents interviews with successful business people and distills her findings down to 6 key principles. The narrative is friendly and easy to digest, though the book’s copious word flow is only occasionally interrupted by its message. 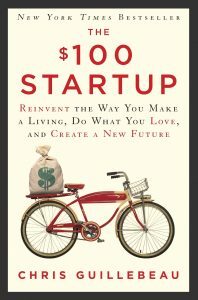 As a genre title in a well-worn format, the work is more popular than it is unique: but it provides useful motivation and allows readers to share in the thoughts of successful entrepreneurs. Podcaster Jonathan Green serves up a persona of success in his 2016 book on becoming financially independent. It is meant to speak to the dreams of a cubicle prisoner, and offers the promise of success if you “just put in the effort.” The point is not to impart theory or practical advice, but to provide energy and an attitude that works for many hopeful solopreneurs. If the voice motivates you, go for it. 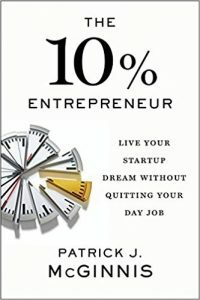 This popular book by Patrick McGinnis explains how to start a solo business venture while keeping your day job. The message is told in a story-telling style that is friendly and clear while keeping a practical focus on how to take the first steps. It’s a good book for motivation if you feel stuck in a desk you don’t own, or just want advice on how to test the waters first. 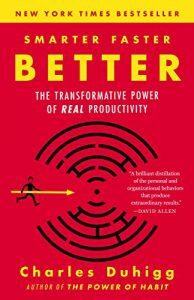 Author Charles Duhigg’s uses stories about his exploration of the “science of productivity” to convey his book’s message. The book is one of the genres of solopreneur books that uses anecdotes to present whichever principles its author has branded: if you’ve read many examples of this format, you know the benefit is mostly motivation rather than innovative insight. Much of the book is repackaged material and light filler, but it’s valuable information if you’re just starting out, or have somehow missed it before. 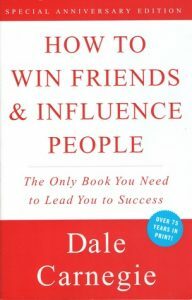 Dale Carnegie’s indispensable classic from 1936 helped launch the self-help genre. It should be read not only by entrepreneurs, but everyone who needs to interact with other humans. The book includes time-proven advice about securing cooperation and working with others, written in warm voice and using chapters as bullet points before they were a thing. If you haven’t read this golden text on successful behavior, it’s time for discovery–if so, you might do well to read it again. 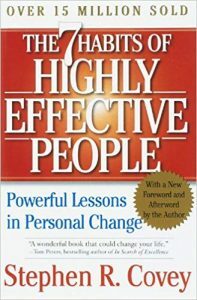 This landmark entrepreneurial self-help book by Stephen Covey was published in 1989 and has since become one of the best selling nonfiction business books of all time. It’s been translated into 40 languages, so chances are you’ve had exposure to its famous 7 principles. The book’s message is how to become more effective in achieving your goals, a critical element of successful entrepreneurship. Even if you’re not a believer, it’s important read this influential book so you know what it’s all about. 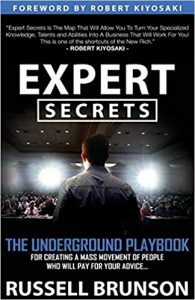 Author Chris Voss is a former FBI hostage negotiator who reveals elements of this important skill and how it can be useful in a variety of situations. Written in a punchy, easy-to-digest storytelling style, the content delves into effective ways to negotiate. Some techniques included can be a bit manipulative, and not every tactic applies. 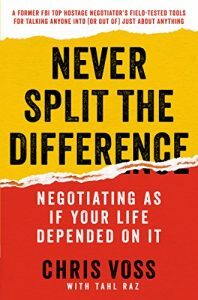 Negotiating is a vital skill for every entrepreneur, however, and this book lets you learn from an authentic source. Chris Guillebeau is a popular blogger turned author who targets solopreneurs with advice and resources. 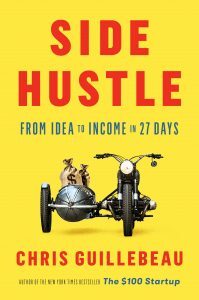 This book outlines ideas and plans for creating additional income as a “side hustle” while keeping your day job. It delivers a step-by-step, 27-day roadmap forward in a readable, conversational tone. The information is mostly basic and light, but the book is a good resource to check if you’re looking for concrete ways to start your solo business ventures. 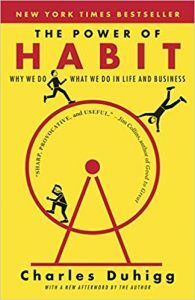 This 2012 book by Charles Duhigg deals with then-recent findings of willpower and habit: the author was fast out of the gate with his own analysis of the research. For those who enjoy the format, the book’s information is easily digested through a stream of stories and conversational storytelling. Solo entrepreneurs seeking to optimize their habits for success can find surprisingly valuable information within the narration. The author, Russell Brunson, is a wildly successful online marketer and the creator of Clickfunnels, a highly popular affiliate platform. This book is a messy combination of clickbait for his services, extraneous filler, egregious half-truths, and nuggets of solid entrepreneurial gold. Brunson’s advice is largely routine and can be found elsewhere, but somehow the author ties it together to generate serious money online. Brunson’s practical advice is more than (total) hype and has helped a community of online solopreneurs make money, too. 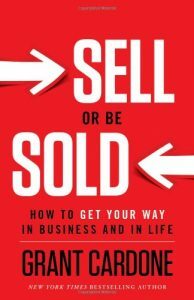 This book on selling by Grant Cardone is much the same as his other work—and many other people’s work, too—but what the content lacks in depth or human understanding it makes up for in attitude. At least, it intends to. The relentless voice imparts drive, confidence, and a certain callousness along with mainly sensible sales advice, and many solopreneurs have found the message valuable. Cardone’s views could be considered the anti-Carnegie approach.